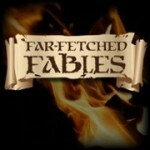 I’m saddened by the news that the fantasy fiction podcast Far-Fetched Fables is going on an indefinite hiatus. The podcast presented a long list of top-notch tales penned by an impressive bevy of new and award-winning writers. Nicola Seaton-Clark hosted in soothing tones that drew the listener into the journey ahead. When editor Gary Dowell first approached me to narrate, I was thrilled to work with the fantasy genre. 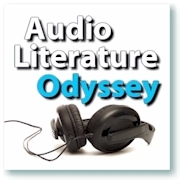 I soon discovered that Gary has a knack for selecting excellent stories and a keen sense for casting narrations. I had the pleasure of narrating numerous tales for the podcast, which I can count among my favorites. Moreover, Gary was wonderful to work with. His enthusiasm and support has been unwavering and I thank him for it. I wish the entire team all the best. Listen to stories narrated by Nikolle for Far-Fetched Fables.